Built in 1980 as a 62 seat coach with a baggage room occupying part of the lower level of the car. Converted into a smoker coach with an enclosed, ventilated smoking room built inside the baggage room in May 1997 and renumbered 31511. 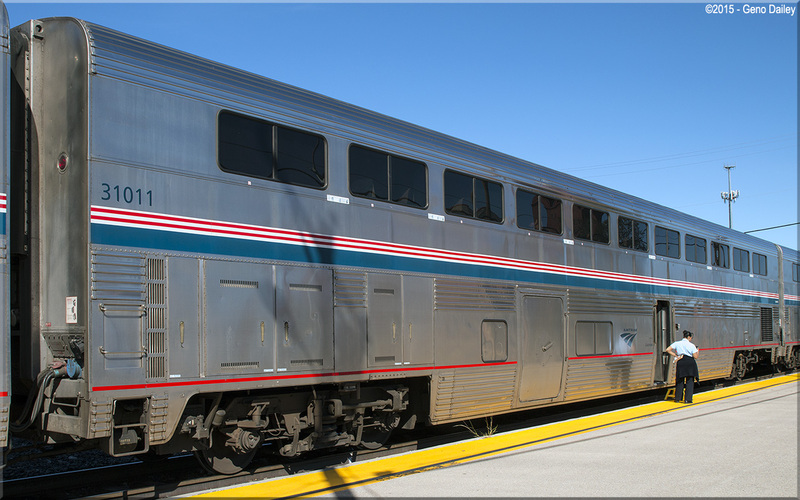 Converted back into a standard coach baggage car in September 2004 and renumbered back to 31011 after Amtrak eliminated smoking onboard most trains. Historical information about this car provided by www.amtrakbythenumbers.com.